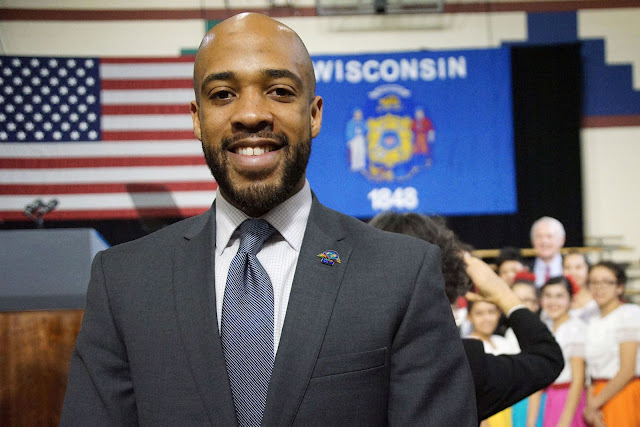 An Alabama A&M University graduate was elected to the Lieutenant Governor seat in Wisconsin Tuesday night. Democrat Mandela Barnes, who is actually a Milwaukee native, was named Lieutenant Governor after his running mate, Tony Evers, claimed victory in the early morning hours on Wednesday. Evers was declared the winner of the governor’s race by the Associated Press at 1:24 a.m, defeating Republican incumbent Scott Walker. Barnes now becomes Wisconsin’s first African-American Lieutenant Governor.